The light that comes in our front window tells me the season. In August, the sun casts a long shadow as it rises in the east. 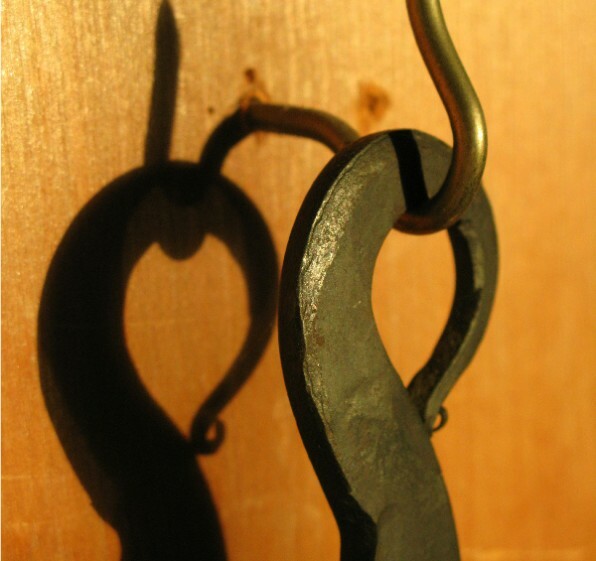 A whitesmith forged the handle on the hook in this photo. It attaches to a wide copper-clad pan that sits under a fireplace spit jack from Bruce Frankel. Bruce created Spitjack.com, where he sells everything one needs for cooking with a live fire. 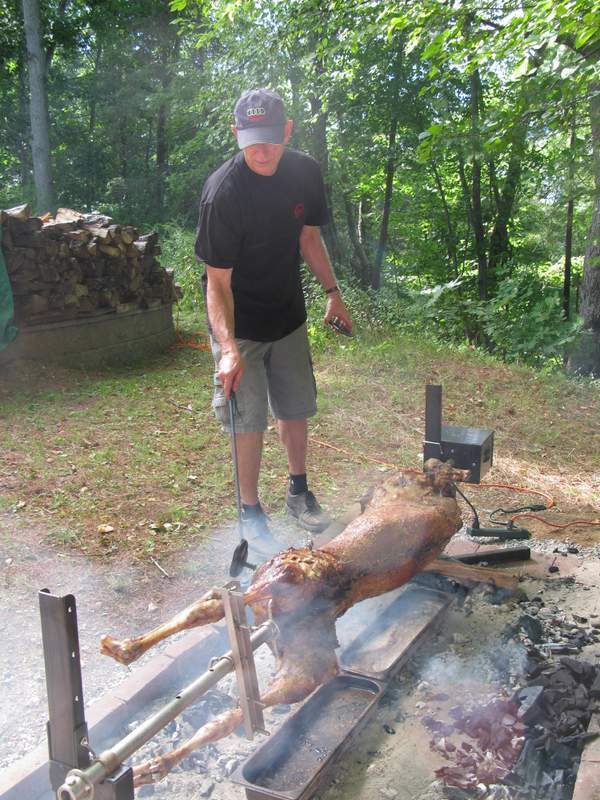 Here he is tending a whole lamb for a party we held at our house last week. Preparing the lamb for the spit— a physical undertaking that required a body bag and three of us to attach the beast to the spit— I was reminded of the rich traditions surrounding the consumption of lamb in many cultures. It is a topic I explored for the American Lamb Board in a paper prepared for professional chefs and chef-instructors that you can read here.